Let a piece of this award-winning milk chocolate melt on your tongue and prepare to be amazed. As it melts, the rich, chocolatey flavour comes alive with a burst of red fruit and citrus notes. 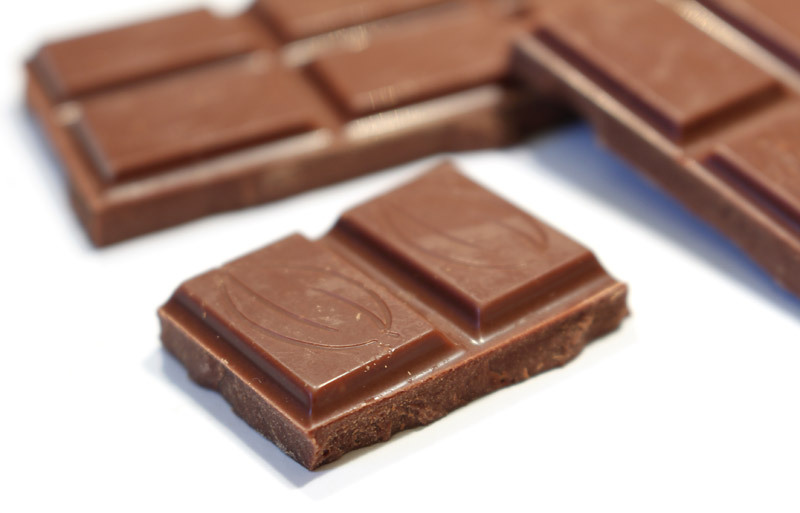 That fruity edge is typical of cocoa from the island of Madagascar, but it’s unusual to find it in a milk chocolate. Meanwhile, vanilla and butter notes evoke a sweetness of caramel. This is a truly original milk bar. This bar doesn’t just taste good, it does good. Madagascan chocolate maker Menakao proudly crafts its chocolate on the island, using only local ingredients. Unfortunately, this is rare even for craft chocolate – it’s estimated that less than 5% of the world’s chocolate is produced in the same country the cocoa is grown. By making the chocolate in Madagascar in addition to growing the cacao on the island, Menakao generate about 4-5 times the benefit of Fair Trade for the local Madagascan economy. 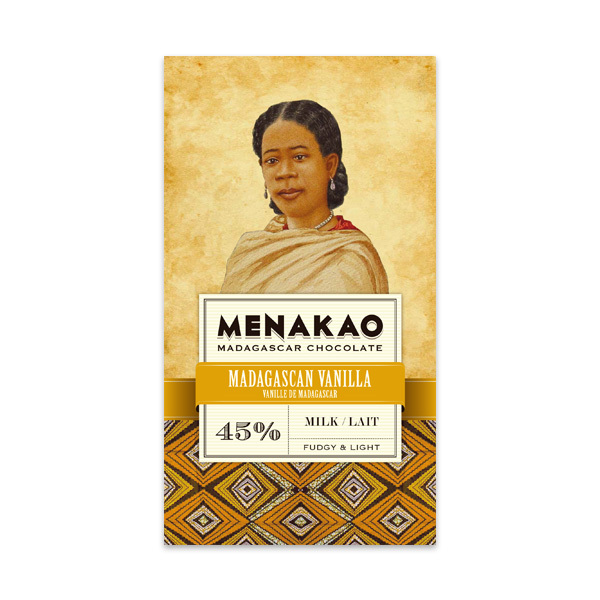 In honour of the men and women of Madagascar of all ethnicities who are at the heart of Menakao chocolate, Menakao decided that the bars should proudly bear the image “not [of] the face of Madagascar, but [of] Madagascan faces.” The beautiful image on the wrapping of this bar is of a Merina woman. The Merina people, (Merina meaning “people of the highlands”) are believed to have settled in the highlands of Madagascar in the 10th century, having migrated from Malaysia and Indonesia. This product may contain traces of nuts, milk and egg proteins, gluten and peanuts. My new favourite chocolate bar. Lovely creamy and fudge taste. I may get arrested by the chocolate police for the following review. Here goes nothing. I had a childhood obsession with a bar called caramac. It was originally very luxuriously wrapped in gold foil and was all lovely buttery grainy pleasure. I imagine that it would be far to sweet for me now. Perhaps I have just found a grown up caramac? Not nice. Tastes like burnt caramel white chocolate - bitter and sweet. Not a fan. I generally prefer dark chocolate but this milk bar was absolutely delicious. Light but still nice and rich. Really liked this. Usually a fan of darker choc but this is much nicer than most milk choc. Have ordered some more. The manages to both smell and taste of buttery fudge, and it has a noticeable element of salt. The acidity and almost savoury quality of the Menakao cacao comes through as well. The salt and butteriness makes it quite rich, and a bit too much. Overall a very interesting bar. A lovely smooth texture & very creamy! So yummy! A nice chocolate, one I have bought more of. Rich milk chocolate, nice lingering aftertaste. Milk chocolate was my first love (and it'll be my last …or something) and this is a lovely milk chocolate. Left slightly grainy in texture, it has a very rounded profile, lots of fudgey sweetness and butterscotch notes lingering through the breakdown. Makes a great dessert. We've been rating our bars on our regular deliveries for the past 6 months now, this bar scored a respectable 9/10 and was one of my favourite milks I've had. Not a dumbed down bar of chocolate, it had complexity and layers of flavour you'd expect with a much higher cocoa level, and yet was easy chomping as per the milk chocolate style. Well recommended. Dense texture and subtle, unexpected fruity notes with a smooth finish - one of the most unique milk chocolates I've had. Creamy and fudgy and sweet, an excellent milk chocolate. impressive taste but could not eat more than 2 pieces, got satisfied quickly!, that was unexpected for me considering that is a milk chocolate. We generally prefer dark chocolate to milk, but we really enjoyed this one - melted nicely, and had a nice creamy/fudgy taste without being too sweet. This was from my first box and the first bar I went to reach out for. I thought it was the best chocolate I ever tasted, the tongue and brain was on a high, full of intense fruity and vanilla flavours. This is not any ordinary milk chocolate bar and would not hestitate to buy if I see one in a shop. I generally prefer dark chocolate, but was pleasantly surprised by how good this milk chocolate is. Definitely follow the suggestion from the writeup to allow the chocolate to melt in your mouth rather than "eating" the chocolate. I thought this was truly one of the best bars of chocolate I have ever tried. The interesting texture and strong fudge like taste was device. Really enjoyed the texture of this bar - melts in the mouth and very fudgy as described. However my partner and I both thought the chocolate had an overwhelming smoky taste which neither of us were too keen on. Neither of us could taste fruit but definitely a hint of vanilla. This left a bad taste in my mouth. It's still there. Yuck. Too fruity for a milk chocolate for me, and whilst I love vanilla flavours in the right place, it wasn't welcome here. I really smelled the chocolate, let it melt on my tongue, tried to like it but no, not for me at all. Got this in my first box and was a little hesitant to try it. I'm a dark chocolate lover as I enjoy the richness it brings. I don't normally eat anything below 70% and tend to buy 80-90% dark choc. But I have to say I did like this. I got the fudge flavours coming through and hints of vanilla. It was much sweeter than what I'm used to but I would still buy it again. Not for me, no real strength, a bit disapointed. This was the first bar I tried from my first box. I loved the beautiful packaging but thought the bar tasted floury and almost musky?! The flavours were quite shallow and it left me disappointed. I wouldn't buy it again. Tasted it at Abergavenny food festival, and true to my own taste, did not like it. Milk chocolate is too bland, creamy and sweet for me, sorry. I agree that there is a fudge taste to this bar. I normally like dark chocolate, but I am happy to receive this in my first box. you can put this in our box again anytime ! could convert dark chocolate lovers to milk! Quite different with the fudgy taste. my first box - this is my favourite. Was the first one I ate, even though I wanted more dark but really enjoyed it. Would happily have again. When I first tasted I want sure, but it could have been as it was the first one tasted from the box and took a bit of getting used to after the usual run of the mill stuff. But after a few pieces I started to really enjoy it. Best when left to melt in the mouth slowly! This is the only one I actually like from my first box, but its still very intense. Intensely fudgy with red berry and citrus fruity sweetness, this is a great but a little overpowering milk chocolate. The vanilla certainly lightens the chocolate and gives it a light and delicate aftertaste. Lovely. Received this in my first box. I only meant to try a little bit and suddenly I'd eaten a third of the bar! Absolutely delightful, I would definitely purchase this bar. I thought that Menakao milk chocolate was a bar with five star potential but that it was squandered by the misguided adding of salt. When I first tasted it, the first half second was bliss, but then just before the development of the more complex earthy/fruity tastes the salt kicked in destroying any possible enjoyment. I was left with a bad after taste and no enjoyment But perhaps I am being unfair as my partner in chocolate eating thought it was a 4 star shot as he felt that the salt complemented and uplifted the earthiness producing a rare good quality milk. My favorite bar to date! absolutely amazing and with such a special taste! creamy and fruity, perfect combination! Pretty unique and enjoyable taste, will probably try it again. I would give this 3.5 stars if i could but rounded down as my brother and mum didn't like this as much as me. With chocolate I will choose dark over milk 99% of the time. However this little beauty was the smallest in my first box of goodies so I thought it best to try this one first. It did not disappoint. 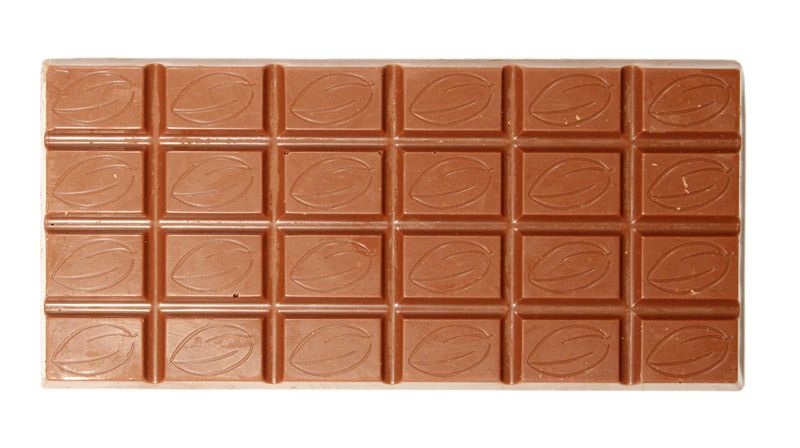 You only need to eat (or melt) one square to feel wonderfully satisfied by this flavoursome bar. Smooth and luxurious! This bar is not for me it was an awkward taste and i didn't like the strong fudge tones. I can appreciate how others might enjoy it though. Cocoa Runners 'intense' taste note is definitely an accurate description! This bar featured in my first box - it gave me almost the same pleasure as my favourite milk chocolate Cluizels's Melissa. Loved the honeysuckle notes.